I've never read a single Buffy comic nor ever caught a glimpse of the show, so this issue was perfect for me. I was already overjoyed to be able to get my hands on the Kevin Wada variant cover, and the art inside was just as dazzling. 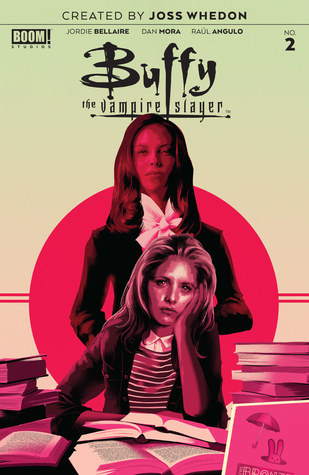 I've always been interested in Buffy, and this issue was the push I needed to finally allow myself to enter this world. It was fantastic, I'm hooked, and can't wait to see what comes next. I’m not big into Buffy, but this was a solid start. Not a fan of he cliffhanger ending, but that’s par for the course I guess. Artwork was great, character development was weak, leaning too heavily on the pre-developed characters I think, but if this is a new beginning, you need to build a better base. Also, story jumped around a bit with no real cohesion. Solid 3 stars. Looking forward to reading the rest. That’s a really clever way to reboot the series - the same characters but very different set up! Worth a go! I love it. This was the Buffy that I was longing for. I love the story, I love the characters and I love the artwork. [image error]Buffy's portraying is vulnerable...[image error]...yet strong. [image error]Finally, a library and Giles was what I need!I can't wait to read the second issue. I do like getting my teeth into anything Buffy related. It was an interesting start to the reboot. Im not sure what to make of Buffy and Willow so far, otherwise Xander and Giles seem pretty much the same.I probably would have given it 5 stars, but a little underwhelmed at the first baddies, guess i was kinda hoping for baddie of the week style like the original tv series. But then it is only the first issue.Alright, i'll bite. I think the secret to enjoying this is to view it as happening on a different earth, or in an alternate timeline a la "The Wish". Wonderful reboot with plenty of Easter eggs for long-time fans. Buffy is back. This series is a ground zero reboot, moving everyone's favorite Slayer of Vampyres up to the modern day. The good thing about this is it means the writers know where everything is going from the start. Willow is gay from the start this time, and we already have Anya in the story in the first issue (Though sadly there's no sign of Cordy yet). The first issue is all setup, but things look promising so far. I'm a huge Buffy fan and while it's nice to see her and the gang again I'm not really sure what is the point. Setting these characters back to ground zero doesn't add anything to the Buffyverse. 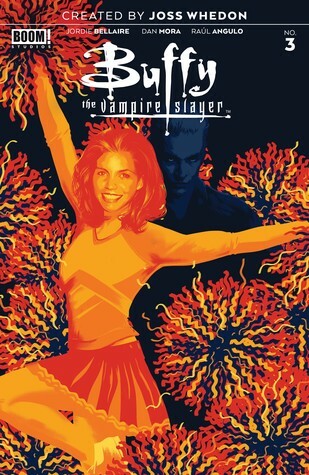 Maybe this reboot is intended for those with no previous Buffy experience. In that case, welcome new fans! As someone who grew up with Buffy I'm just not that excited by this. I really like that the characters are still the original cast. 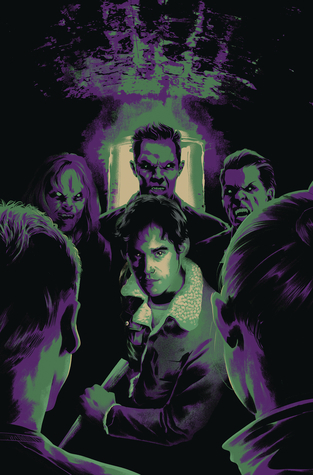 Things have switched up in Sunnydale in this current retelling of Buffy but I'm willing to see where they take us. I am not used to the comic book format of it being so short and me wanting more- so ... this will be interesting. Amazeballs!! !I'm so excited for the upcoming issues. This issue set up some great stuff to come. I love our familiar characters already, slight differences and they make my heart swell with happiness. I can't wait for more!!! I’m so excited for this reboot series. I love the artwork and the first issue was pretty great! MY BODY IS READY. BRING ON BUFFY 2019! Mmmmmm... Interesting changes! And hey, Giles ' stacks are finally neat!! Hahaha! Aaaah I freaking love this already, the colors are EVERYTHING to me. This is definitely a re-imagining of Buffy, a reboot if you will. Within a few scenes you realize that most of what you have held close to your heart is not how things play out in Sunnydale anymore. At first I fought it. "Hey, that's not how it goes! That character shouldn't be there!" But then you have to let go and enjoy the ride that is both familiar and new. Really looking forward to how this plays out. L'art est très joli, on reconnait les acteurs, mais c'est très court. Très précipité. Pas aussi drôle ou attachant.